We also published, in 2003, the splendid collection of photographs by E Mitford Abraham taken in early 1900 and presented to the Society by Mrs.Berry Sykes. 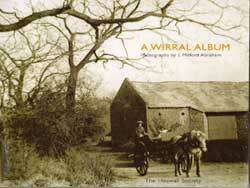 "A Wirral Album" is available at £8.99 (each plus postage). Click to Order these publications.